Happy Campers is new for 2018. A simple rustic look with a long arrow carved into the 3/4 inch wood sign. I like it with just the first names of this camping couple but I can add their last name too if you like. 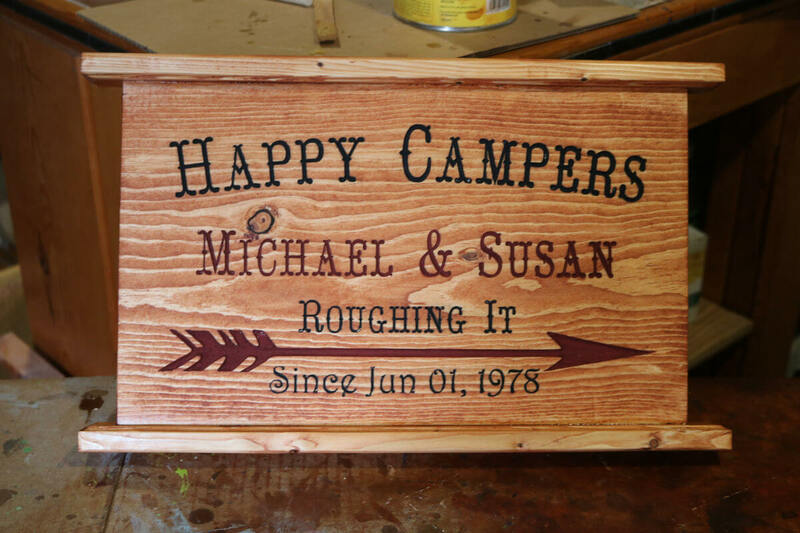 I hand paint the title and established anniversary date black then I paint the married couple’s names and the rustic looking arrow dark red.